If you are a fan of World War II history, novels and movies, come to the Centrio Activity Center on Wednesday, March 15 at 2:00PM. The Cagayan de Oro City Historical and Cultural Commission (Hiscom) has arranged two free lectures on “Finding our Heroes: The BGen. 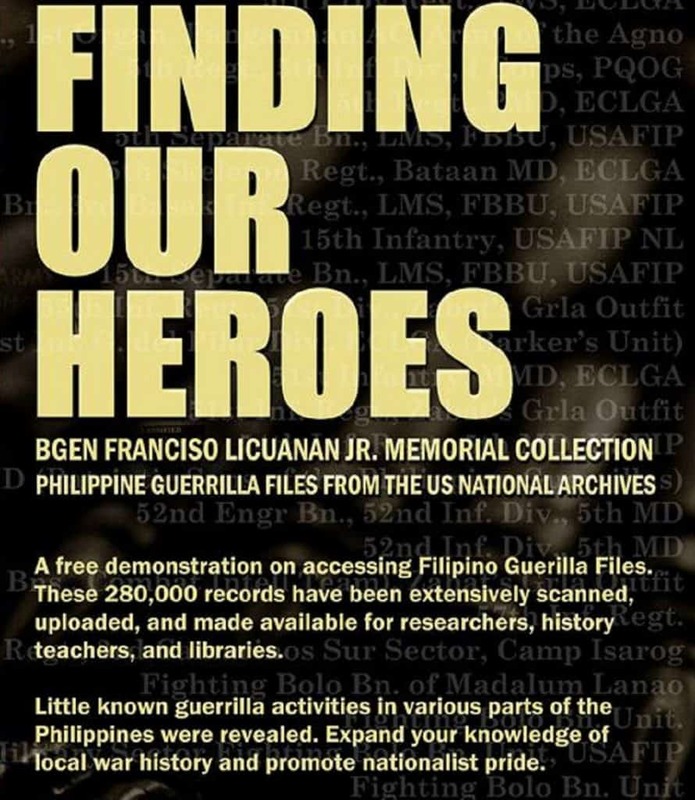 Francisco Licuanan Jr. Memorial Collection, Philippine Guerilla Files from the US National Archives” and memories of our heroes from World War II as a component program of General MacArthur Week on March 13-17, 2017. The celebration marks the 75th Diamond Jubilee of Gen. Douglas MacArthur’s Breakout from Corregidor to Australia (via Cagayan, Misamis and Dicklum, Tankulan, Manolo Fortich) on March 11-17, 1942. 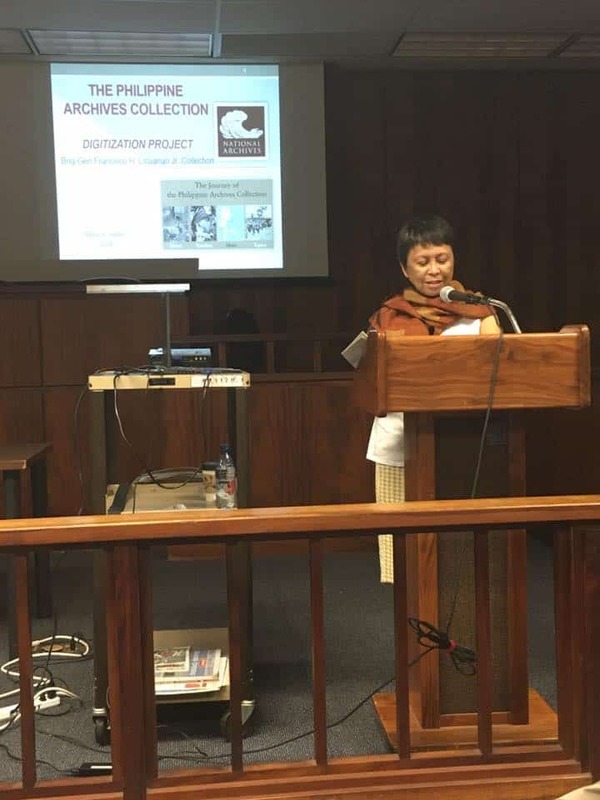 Head Researcher Marie Silva Vallejo said the digitization project of the Philippine Archives Collection at the United States National Archives was undertaken to preserve crumbling documents and make known the heroic exploits of our Filipino guerrilla fighters and disseminate the records as research and teaching materials. “Above all, we want to install a sense of nationalism through the untold stories in these records,” Ms. Vallejo stressed. With her extensive expertise and experience from her previous stint at Intel, Ms. Vallejo helped digitize extant records of Filipino soldiers during WWII. Through her extensive research, many Filipino veterans have qualified for more benefits from their service during the war. In her previous talks on this topic, Ms. Vallejos highlighted the importance of the Philippine Archives Collection. “These records are not at the command level, but rather on the level of individuals who were involved in military operations in the Philippines from 1941-1945,” she explained. “Included in these archives are records of the treatment of prisoners of war (POWs), how guerrilla warfare was waged in the Philippines through personal histories, diaries, unit histories, medical/death reports,” she added. 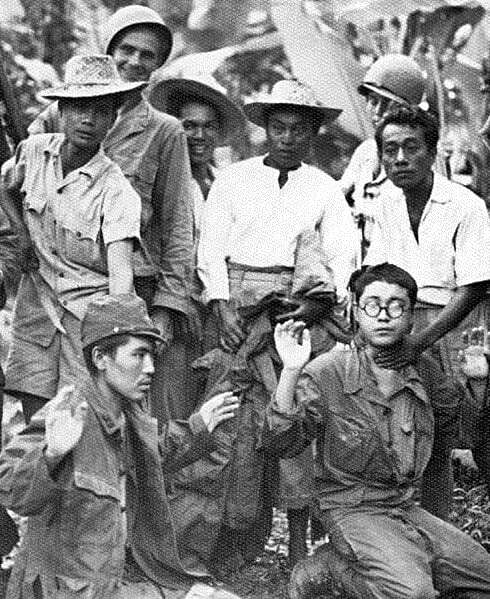 Researchers will find the collection a mother lode of information detailing activities of guerrilla units, first person accounts of efforts to liberate the Philippines from Japanese control, and prevailing conditions in the Philippines during the Japanese occupation. Numerous guerrilla groups-willingly or forcibly-were employed by the Allies to fight in WWII. 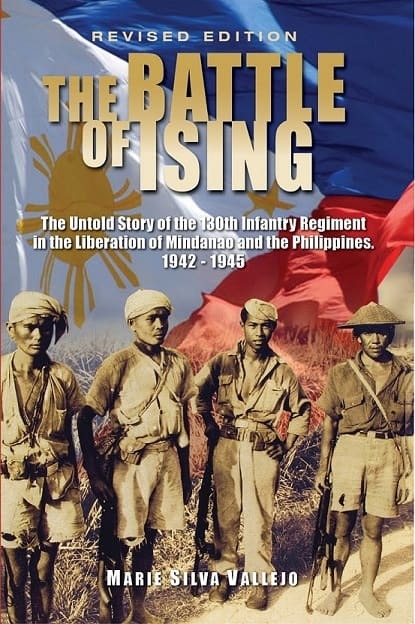 Among them were about 300 units of nearly 300,000 Filipino guerrilla soldiers. The Brig. Gen. Licuanan, Jr. collection contains the digitized records of Filipino WWII veterans. retrieved from the US National Archives by Marie Vallejo and her team of researchers. The 280,000 scanned primary source records include little-known guerrilla activities in various municipalities and provinces. This collection, along with the new USCIS program that allows Filipino veterans expedite reunion with petitioned family members, recognizes their sacrifices and continued struggle for the benefits and recognition promised in exchange for their service. Ms. Vallejo will deliver her lecture twice within General MacArthur Week: on Wednesday, March 15, 2017 at 2:00PM at the Centrio Activity Center and again on Thursday, March 16, 2017 at 10:30AM at the Liceo de Cagayan University Viewing Room. The Hiscom is coordinating with the Department of Education and the Philippine Veterans Affairs Office (PVAO) Field Service Office-10 to bring in interested academics and veterans to attend the two lectures. These lectures are open to the public. History students and professor and researchers are strongly encouraged to listen in and learn how to use the database for academic research as well as other purposes.